After advising many friends on their home and apartment purchases and sales, Suzanne Bakst realized that she had a passion for real estate and decided to make it her profession instead of just a hobby and become a Certified Negotiation Expert. Having been in business and sales all her life, Suzanne, who has a dynamic personality, also brings an uncompromising work ethic, superior negotiating skills and a honed creative eye to your transaction; not to mention a proven track record of success to garner the best results for every project. 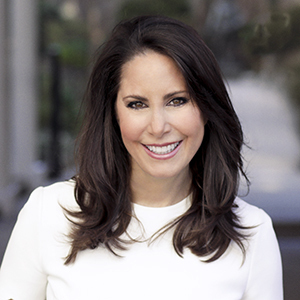 Born and raised in New York City, where she has also raised her own family, Suzanne is extremely knowledgeable about Manhattan in general, and the Upper East and West Side neighborhoods in particular. She has an intimate familiarity with the properties, schools and attractions that make uptown life so desirable; plus she is well versed in the downtown areas as well where she also enjoys spending time. In addition, Suzanne prides herself on her wealth of resources that can make moving your home much easier. She thoroughly enjoys sharing her insights and expertise on all locations and price ranges with clients in every stage of life. Suzanne holds a BA degree from Vassar College. She has nearly three decades of experience in the fashion jewelry business working exclusively for the Erwin Pearl company, for which she served as the National Sales Manager for 10 years before personally launching its successful private label division. Being an avid researcher and expert project manager, Suzanne, who is affectionately known as the "lifestyle guru," will work tirelessly on your project until you attain your buying or selling goals and objectives. Outside of real estate, Suzanne is active in many charitable organizations in the Metropolitan area, and she sits on the Board of Armbrust International, the largest chain manufacturer in the world. She is an avid golfer and loves to ski, play Bridge, and do Yoga and Pilates in her free time. Suzanne is a member of Friar's Head, the golf club on Long Island which her husband developed and manages.